Amongst numerous directorship roles, Justin is a director of a private investment company primarily focused on equity investments and distressed debt opportunities and formerly a non-executive director of CCBI Asset Management (Australia) and the East Sydney Private Hospital. 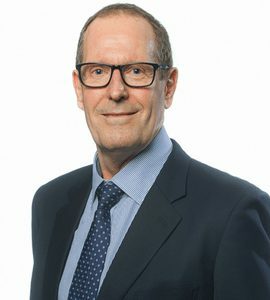 Prior to this corporate experience, Frank was a lawyer with more than 10 years’ experience working in major law firms in Australia and the United Kingdom, specialising in mergers and acquisitions, capital markets, funds management and corporate governance. 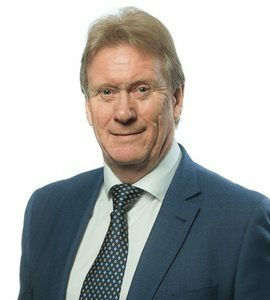 Paul has a 40 year international career spanning financial services (banking, insurance, funds, asset and wealth management) business services, consulting and corporate advisory. His corporate roles have included Chairman, CEO, COO and CFO of a number of large financial institutions such as Colonial Limited and AMP Limited – which had $260 billion of assets under management and employed 25,000 internationally under his leadership as CEO. His corporate advisory roles include as a Partner of Touche Ross & Co (now KPMG) prior to entering corporate life and as a private investor and corporate advisor to a number of listed companies, small to mid-market private businesses and private equity houses subsequent to corporate life. Paul has an innate ability to see business scenarios from both sides of the boardroom table and deliver innovative strategic solutions. 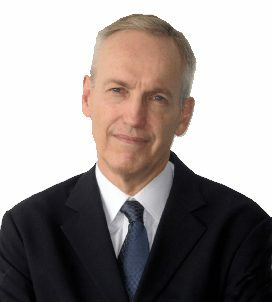 His extensive transaction experience includes demutualisations, acquisitions, divestments and IPOs from $50 million to $20 billion. Paul is a non-executive director of a number of privately held companies and serves on the Investment Committee of the Australian Olympic Commission Foundation. Michelene has 30 years experience in financial services and corporate advisory – operating and advising at board level of companies ranging from large listed to small privately owned organisations. Michelene has broad expertise across strategy, governance, risk management and finance utilised in wide range of corporate roles including CEO, Executive and Non-Executive Director, CFO, COO, Strategy and Group Company Secretary. She spent 15 years in senior executive positions with Colonial Limited and Commonwealth Bank of Australia before becoming CEO of a listed investment company and establishing, listing and running Australia’s first listed vineyard property trust. 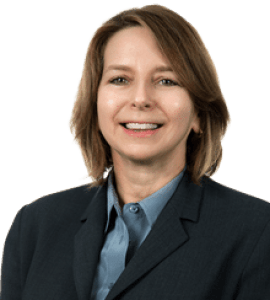 Her transaction experience includes mergers, acquisitions, divestments, demutualisations and listing from $10 million to $10 billion and corporate advisory clients include listed, small to mid-market private business and private equity houses. Financial services experience includes asset management, superannuation, life and health insurance and banking sectors. Michelene is an independent and strategic thinker with a questioning mind and an understanding of the commercial drivers of a business – who is able to quickly value to a business. A team player who uses strong communication, influencing, problem solving and leadership skills to achieve outcomes. 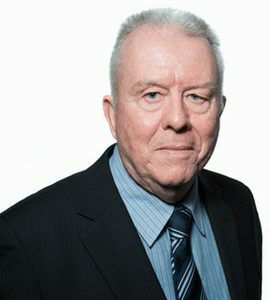 From 1982 – 1990 Bleddyn worked for the Bank of Bermuda in Bermuda, London and Hong Kong. He held senior positions within the Bank and specialised in the provision of a full range of trustee services, including settlement, custody, accounting, valuation and unit holder registration services to a significant number of international fund management companies. In 1990, Bleddyn joined LGT Asset Management in Hong Kong. He moved to Sydney in 1997 where he was responsible for the management and administration of LGT’s operations in Australia. Bleddyn has a degree in accountancy and is a member of the Institute of Chartered Accountants in England and Wales. Marcus has in excess of 25 years’ experience in managing and driving the development of small, medium and large businesses both in Australia and internationally. His experience includes senior roles in funds management, commercial finance and broking, investment banking, capital markets and chartered accounting. Marcus has held senior executive positions at a range of financial services businesses including at Challenger Limited, Ashe Morgan, and UBS (in Sydney, New York and Tokyo). Marcus has also worked for Credit Suisse in London and Arthur Andersen in Melbourne. 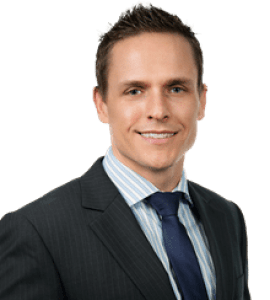 Marcus holds a Bachelor of Commerce from the University of Melbourne, is a graduate Member of the Australian Institute of Company Directors and is a Chartered Accountant. Sri has worked in the financial and legal services industry for 18 years. During this time, he has been involved in the areas of transactional documentation, all facets of compliance (including technical and legal), risk management, general due diligence, general legal services and advisory matters. 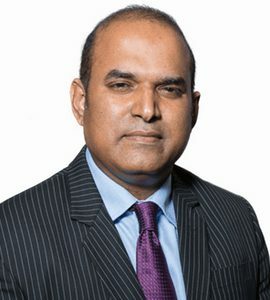 Sri has worked for a number of listed trustee/investment companies, including Perpetual Trustees, Stockland Group, The Trust Company Limited and IOOF. 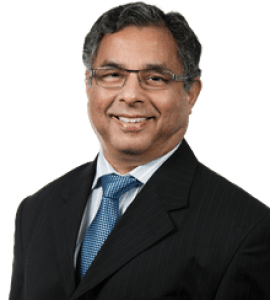 Sri holds a Bachelor of Mathematics, a Master of Law and Legal Practice and is a member of the Law Society of New South Wales. Graham has in excess of 25 years of experience as an operations and compliance professional gained in various boutique funds management companies. The most recent experience was at equity manager Investors Mutual Limited, where Graham was General Manager for 5 years and a member of the compliance committee. During his time at Investors Mutual Limited, he was also on the Board of a listed investment company, QV Equities Limited. Prior to this, Graham spent 11 years and was a founding shareholder at boutique hedge fund manager, PM Capital Limited, where he was responsible for the establishment of the operations and compliance functions. This included acquiring the company’s AFSL, being a compliance committee member, appointing prime brokers, and all other aspects of investment operations. Graham has a Bachelor of Commerce and a Graduate Diploma in Applied Corporate Governance. He is also a Justice of the Peace. 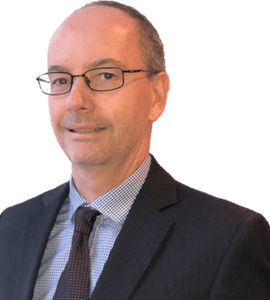 Peter has more than 20 years’ experience working in the operations teams of various funds management companies, the most recent being a listed financial services group where he was responsible for the fund settlements and unit pricing. Prior to this, Peter spent 9 years with Credit Suisse Asset Management in the Operations team where he was a member of the team responsible for the development and deployment of the unit pricing system. As well as the Team Leader of the Fixed Interest unit pricing team. Prior to Credit Suisse, Peter spent two years at Westpac in the Operations team as an Investment Accountant responsible for cash flow management and unit pricing. Peter has a Masters in Business Administration from the University of Technology Sydney, a Diploma in Financial Planning (RG146 compliant) and is currently an Associate Member of CPA Australia. Tony is a Chartered Accountant and has in excess of 20 years’ experience predominately in the financial services industry. He has acted as CFO and Company Secretary for a number of funds management companies and has had responsibility for financial reporting for both listed and unlisted funds across a range of asset classes. Tony has extensive experience in fundraising, due diligence, investor reporting and compliance. His funds management industry experience includes 10 years as CFO and Company Secretary for DDH Graham Limited (a funds management and administration company) and a further 6 years as CFO for NBC Capital Pty Ltd, (a private equity fund manager). 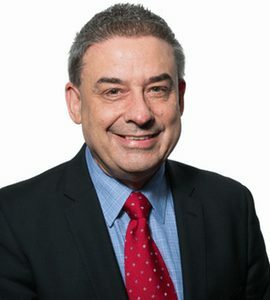 Tony holds a Bachelor of Commerce from the University of Queensland, is a member of the Institute of Chartered Accountants Australia (ICAA) and is a Fellow of the Financial Services Institute of Australasia (FINSIA). Steven is a senior investment management professional with over 25 years’ experience in funds management, research and product development, fund operations and investment governance. Asset class exposure includes Australian equities and derivatives, cash and fixed interest, property, mortgages and managed investment trusts. Steven was formally the General Manager of group investment management at The Trust Company. Trust was an ASX listed trustee company with $4bn funds under management. His responsibilities included the development of bespoke investment solutions across all asset classes, providing direction and strategy for the business and relationship management of key clients and stakeholders. A major part of the role was ensuring compliance with the investment management governance framework and executive responsibility for Trust’s Investment Committee. Steven was also Chair of the Due Diligence Committee. As the direction and strategy of Trust’s investment management business developed, Steven successfully led a number of rationalisation and transformation projects. He previously worked as a Senior Portfolio Manager at Legal and General Financial Services specialising in Australian equities and derivatives and before that in the stockbroking industry. Steven holds a Bachelor of Science (Honours) degree from Melbourne University. Lynne Rando has over 23 years’ experience undertaking various roles within the financial services industry. Prior to joining One Investment Group, Lynne’s experience included 5 years with a leading Responsible Entity / Trustee for hire where she was responsible for managing all facets of the operations of schemes for wholesale and retail investors. Lynne started her career in financial services with a general insurance broker and progressed within that company to managing the insurance portfolio of a large industrial group and being responsible for evaluating and maintaining all aspects of the group’s insurance policies for many years. 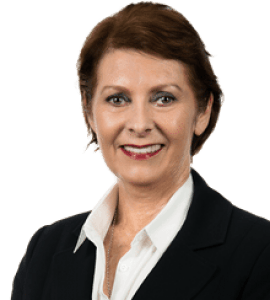 Lynne also gained experience in operations within a large AMP financial planner covering superannuation and life insurance products as well as that of underwriting manager of the general insurance portfolio and providing advice (both general and personal) to the clients of the practice. Lynne has several general insurance qualifications and is RG146 compliant. Dimple Gandhi has 15 years of diverse experience within the funds management and banking sectors. Prior to working at One Investment Group, Dimple spent over 5 years at Perpetual Limited overseeing functions within Commercial Mortgage Funds and managed investment trusts (MIT). Her MIT clients comprised institutions promoting wholesale registered and unregistered investment schemes as well as retail registered investment schemes. She also managed the fund administration team responsible for a portfolio of commercial mortgage funds. Prior to Perpetual, Dimple spent over 5 years at HSBC in mortgage services managing loan settlements, discharges and constantly liaising clients and auditors. Dimple also gained experience at the Commonwealth Bank. Dimple has qualifications in Financial Markets and Financial Services, Project Management, Real Estate and Administration. Lauro joined One Investment Group in March 2011, having previously worked for Chevrolet Philippines as a member of the finance team. Lauro has a depth of experience in planning and delivering monthly, quarterly and annual reporting requirements, general ledger creation and reconciliation, variance analysis, BAS GST calculation and lodgement. In his role at One Investment Group, Lauro oversees the month end financial and AFSL reporting, consolidation of group results, monthly variance analysis reporting to the Board, preparation of the annual statutory accounts, contact point for external audits, supervision and guidance of the accounting team, ensuring compliance with statutory law, financial regulations, and accounting standards and supports in system changes to optimise financial and operational outcomes. 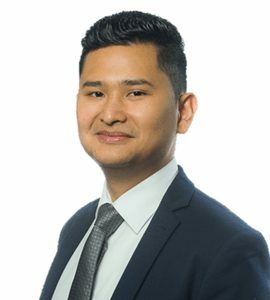 Lauro is a Certified Practicing Accountant and holds an Advanced Diploma in Accounting (with Distinction) from the Sydney Institute of TAFE as well as a Bachelor of Science majoring in Management Accounting from Angeles University Foundation Philippines. Bevan has in excess of 35 years’ accounting experience including asset finance, funds management, capital markets finance, securitisation and equity investments. Amongst this experience, Bevan has held various roles including: Finance Manager, Allco Finance Group; Financial Controller, Kingsgate International Corporation Ltd; and Financial Controller, Asahi Development. Bevan’s broad range of responsibilities have included: month end financial reporting, consolidation of group results, board reporting, management reporting, bank reporting, financial and management accounting for corporate groups, statutory accounts, auditor liaison, group REM analysis and modelling, REM employee entitlements, supervision of accounting and finance functions, oversight of adherence to internal control procedures, joint venture accounting, investor reporting and financial transaction management. Bevan is a Certified Practicing Accountant and a Fellow of the National Institute of Accountants. He holds a Business Certificate in Accounting from Adelaide College of TAFE, a Graduate Diploma in Accounting from Kuring-Gai College of Advanced Education and a Post Graduate Degree in Accounting from Flinders University of South Australia. 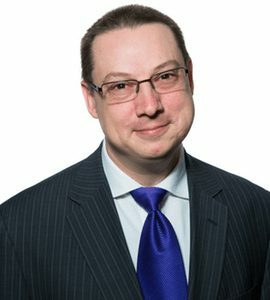 Michael has over 20 years’ experience in the financial services industry including 12 years’ experience in providing trustee, custody and administration services to the debt capital markets and funds management industry. In this time Michael spent 7 years at Perpetual Limited where he was a senior lawyer in Perpetual’s legal teams. 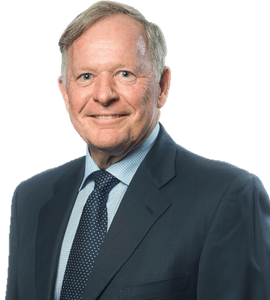 Michael has also spent a number of years in other business and legal roles including working in large, medium and boutique fund managers, retail banks, investment banks, structured credit providers and hedge funds, such as ANZ, ABN AMRO, AMP, Everest and Absolute Capital. Michael also has experience acting as an executive director of Responsible Entities, ASX listed companies (executive director and company secretary) and acting as a member of investment, product, risk, audit and compliance committees. Michael holds a Bachelor of Law from University of Technology Sydney and a Bachelor of Arts from Macquarie University. He is a member of the Australian Securitisation Forum and holds a current practising certificate from the NSW Law Society. Shane is a senior finance professional with more than 25 years’ operational experience within the financial industry both in Australia and overseas. Having worked at a number of custodians, fund managers and brokers, Shane has extensive experience with back and middle office functionality across numerous asset classes for both local and international markets. Prior to joining OIG, Shane led the custody area at Mainstream Fund Services for 2 years, and prior to that ran the Overnight Operations team at NAB in Melbourne for 5 years. Shane has also had management roles in project management, trade & settlements, corporate actions, FX, transitions, and customer service. The bulk of Shane’s experience has been gained at organisations including Credit Suisse, JP Morgan, CLSA, State Street and National Australia Bank. Sudhamoy has administered and overseen some of the largest listed property and mortgage trusts in Australia. His experience includes relationship management, managed funds, liquidity management and senior custody roles in property, financial assets and operations. Prior to joining One Investment Group, Sudhamoy was at Australian Executor Trustees and prior to this, Sudhamoy was employed by Perpetual Limited for 25 years specialising in property, mortgage and private equity trusts. 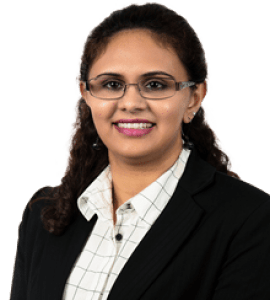 Sudhamoy is an experienced and insightful operations professional with extensive involvement in diverse range of unit trust structures and managed investment schemes. Sudhamoy is also experienced in structured finance, covering securitisation, structured products and public and partnership transactions. Sudhamoy has a keen focus on risk, compliance, client service, internal and external reporting and operational efficiencies by streamlining workflows and working on projects. Sudhamoy holds a Bachelor of Science. 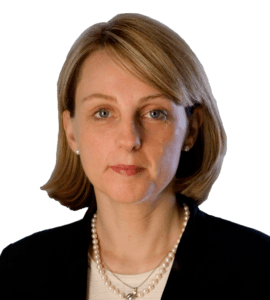 Carmella has over 25 years’ experience in the financial services industry. Prior to joining OIG, Carmella worked for Australian Executor Trustees in the Corporate Trust team where her responsibilities mainly related to superannuation funds, mortgage funds and escrow clients. Other roles have been in aircraft leasing at Hong Kong Aviation Capital and Allco Finance Group as a Deal Manager for a portfolio of aircraft leases, the advisory team at ANZ Private Bank for over 4 years and Deloittes for 10 years in their London office. Carmella is a manager in One Investment Group’s Corporate Trust team principally responsible for managing the requirements of OIG’s corporate trust clients, which includes custody, trustee, security trustee and escrow services. Carmella holds Financial Education Professionals “Introduction to Custody”, TAFE NSW “Financial Services Certificate III”, Securities Institute (Australia) “Financial Planning Principles and Practice” and Securities Institute (UK) “Investment Advice Certificate”. Michael has 17 years’ client service and relationship management, experience predominantly with ASX 100 listed financial services firms including the Commonwealth Bank of Australia, Colonial First State and Perpetual Limited.  At One Investment Group, Michael is responsible for offering a wide variety of products to our corporate trust clients, which include custody, trustee, security trustee and escrow services for both simple and complex corporate finance structures. 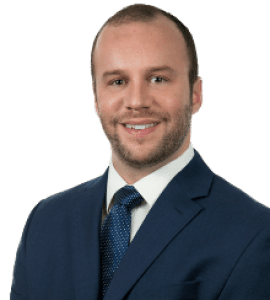 In addition to relationship management, Michael’s role includes the on-boarding of new clients, negotiation of transaction documents, ongoing compliance and risk management. 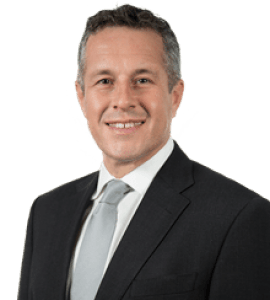 Prior to joining One Investment Group, Michael spent 6 years at Perpetual Limited where he was responsible for managing and servicing a portfolio of domestic and offshore regulated and unregulated managed investment trust for clients in both a custody and trustee capacity. 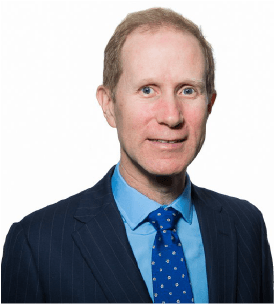 Michael was responsible for the relationships with numerous major fund managers across a broad range of asset classes including private equity, hedge funds, listed and unlisted equities and property. Michael holds a Bachelor of Business majoring in Finance from Australian Catholic University. Michael has a background in I.T. and maintains strong industry awareness and knowledge of networking, operating systems, email, I.T. processes, storage, back-up, databases, vendor technologies and emerging industry trends. Since joining One Investment Group in June 2010, Michael has been one of the key persons responsible for the delivery of premium services to clients and their investors. Michael leads client integration projects and is charged with ongoing key account management, service delivery and investor communications. 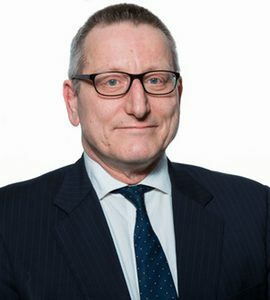 Prior to joining One Investment Group, Michael held senior management positions in a number of SME businesses with a proven track record of strategy execution, policy and procedure implementation, building management teams and financial management across the wholesale distribution and hospitality sectors. Michael holds a Bachelor of Business Administration majoring in Financial Services from the Australian Catholic University and is RG 146 accredited. Suzanne joins One Investment Group’s legal and compliance team as a corporate governance professional with experience providing corporate secretarial services to both Australian and foreign companies to help them meet their compliance obligations and improve corporate governance. In her most recent role at Seed Outsourcing, Suzanne serviced multinational, private equity, real estate and private clients across a range of industries; primarily focussed on facilitating the establishment of local businesses by foreign entities. As a senior team member, she was also responsible for leading her team to meet clients’ needs and maintaining key client relationships. Prior to this, Suzanne was Chair of the Governance Committee at a large not for profit over a 5 year period, where she established best governance practices and implemented procedures to ensure Australian legislative requirement were followed. She was also Vice Chair of the Board of Directors and Chair of Audit and Compliance. Suzanne holds a Bachelor of Business Administration from the University of Southern California and is currently studying a Juris Doctor at the Sydney University of Technology. 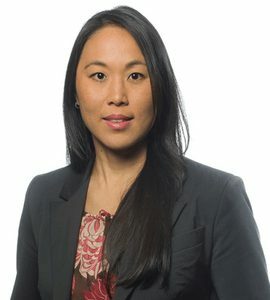 Carolyn is a member of One Investment Group’s legal and compliance team and has experience in structuring, establishing and advising registered and unregistered managed investment schemes, advising clients on financial services laws, and negotiating trust deeds, investment management agreements and other transaction documents. Carolyn’s last legal role was at Minter Ellison (Sydney office) as a senior associate, specialising in the establishment of Australian investment funds predominantly in the private equity and wholesale space, advising on financial services licence requirements and exemptions, and acting for fund managers in acquisitions and secondary sales of offshore investment products. 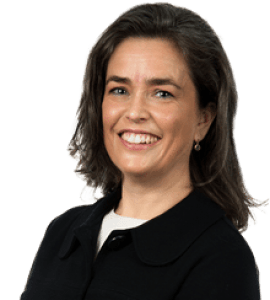 Carolyn comes to One Investment Group with over 14 years post-admission legal experience, with several years of experience in fund establishment at Minter Ellison. Other legal roles prior to this included an emphasis on financial services, corporate transactions and capital raisings. Carolyn holds a Bachelor of Commerce/Law from the University of New South Wales and holds a current NSW practising certificate. 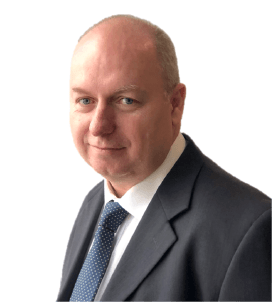 Paul has over 25 years financial services experience in Asia and Australia, including 8 years in regional Asia sales management for 2 major investments banks and 13 years developing and managing trustee businesses for 2 banks within Australia. Paul spent 6 years at Deutsche Bank as Head of Global Debt and Structured Finance Services Sales Asia and 3 years at J. P. Morgan as Head of Global Trust Services Sales Asia. Prior to this, Paul was Head of Institutional Trust Services Australia at J.P. Morgan. Paul also undertook various trustee focused roles for 16 years at National Australia Trustees Limited and Perpetual Trustees.